At last, the Ping Pong table has arrived! 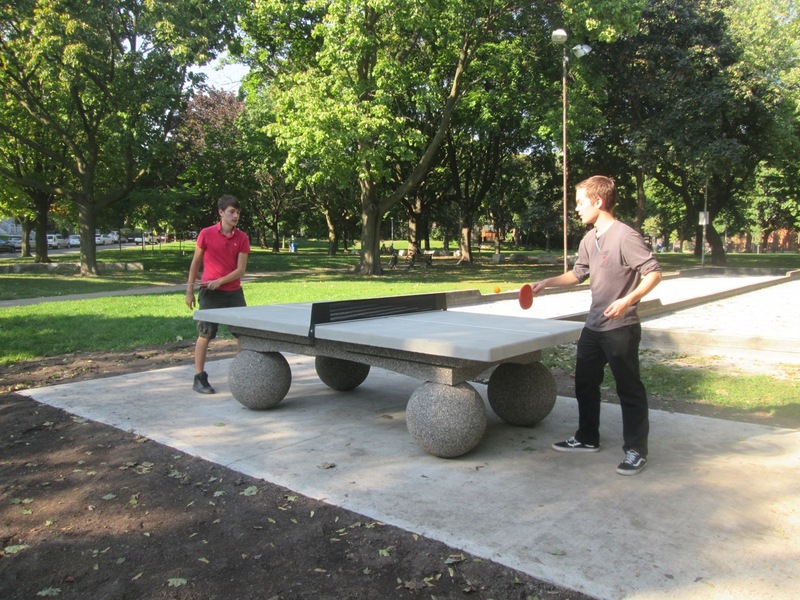 Neighbours Dylan and Calvin braved the rain to play the inaugural game in Fred Hamilton Park! Thanks to the City of Toronto for making it happen. At this point you’ll have to bring your own paddles and balls, but maybe for next season we’ll figure out a way to have a set for everyone to use!